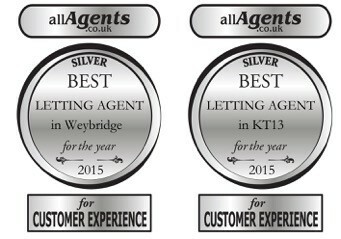 Martin & Wheatley have won 2 silver awards in this years allAgents Best Letting Agent for Weybridge and Best Letting Agent for KT13 Customer Experience categories. We are absolutely delighted to have received this, especially in our first year of business. This is testament to the continuing effort we put in to ensuring that all our customers and clients receive the very highest level of service with personal care and attention. We treat every property and portfolio as if it were our own and continually seek to outperform our competitors in all areas. A heartfelt thank you to everyone who has supported us.